Τοποθετημένο στην καρδιά της Αμπάνγκ, το Sojourn Guest House είναι το ιδανικό σημείο από όπου μπορείτε να ανακαλύψετε τη Κουάλα Λουμπούρ. Από εδώ, οι επισκέπτες μπορούν να έχουν άμεση πρόσβαση σε όλα όσα η πόλη έχει να προσφέρει. Με την βολική του τοποθεσία, το ξενοδοχείο προσφέρει εύκολη πρόσβαση στους προορισμούς της πόλης που πρέπει οπωσδήποτε να δείτε. Επωφεληθείτε από ένα πλήθος ασυναγώνιστων υπηρεσιών και ανέσεων σε αυτό το ξενοδοχείο της Κουάλα Λουμπούρ. Το ξενοδοχείο σας προσφέρει μια μεγάλη επιλογή υπηρεσιών, συμπεριλαμβανομένων των δωρεάν WiFi σε όλα τα δωμάτια, 24ωρη φύλαξη, ημερήσιος καθαρισμός, φύλαξη αποσκευών, ασύρματη σύνδεση Wi-Fi σε δημόσιους χώρους. Τα δωμάτια του ξενοδοχείου έχουν διαμορφωθεί προσεκτικά ώστε να παρέχουν υψηλό επίπεδο άνεσης και την ευκολίας. Σε κάποια από τα δωμάτια, οι επισκέπτες μπορούν να βρουν επίπεδη τηλεόραση, ασύρματη σύνδεση internet (δωρεάν), δωμάτια για μη καπνίζοντες, κλιματισμός, τηλέφωνο. Το ξενοδοχείο προσφέρει μερικές μοναδικές ευκαιρίες ψυχαγώγησης όπως οι σπα, μασάζ. Με την ιδανική του τοποθεσία και τις καταπληκτικές του υπηρεσίες, το Sojourn Guest House θα σας ευχαριστήσει σε πολλά πράγματα. I booking the room for 2 days. I was late check in ard 11:30pm. But the room giving to me was nice cause opposite the lift. The room was clean and tidy, the environment was very fragrant with the essential oil. Feel very relax. The shower was good with strong water flow. Overall was good for a short stay. I notice that the pillow had a dead bug so i put the pillow a side waiting for another day to change. But second day after the house keeping, the dead bug still stay. So i was curious that the house keeping did not notics it? By the way, the bug look like louse. Good location, comfortable room but small & there was only a glass barrier between bathroom & bedroom - place gets wet a little too easily. Good breakfast & really nice citronella tea provided free flow but didn't get replenished often. 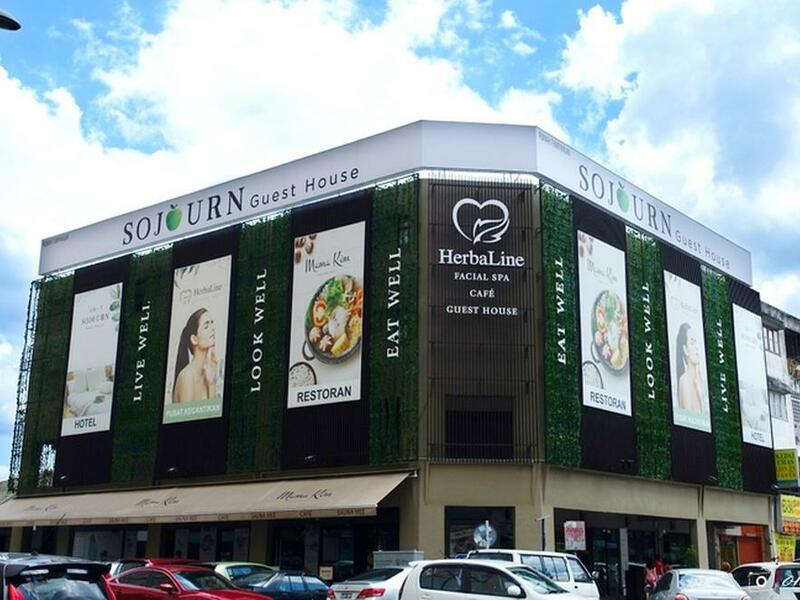 I had a meeting at Hospital Ampang and booked Sojourn Guest House becaused its less than 1km away. I came for business, but had a really restful stay. The free green tea and rest area are great. 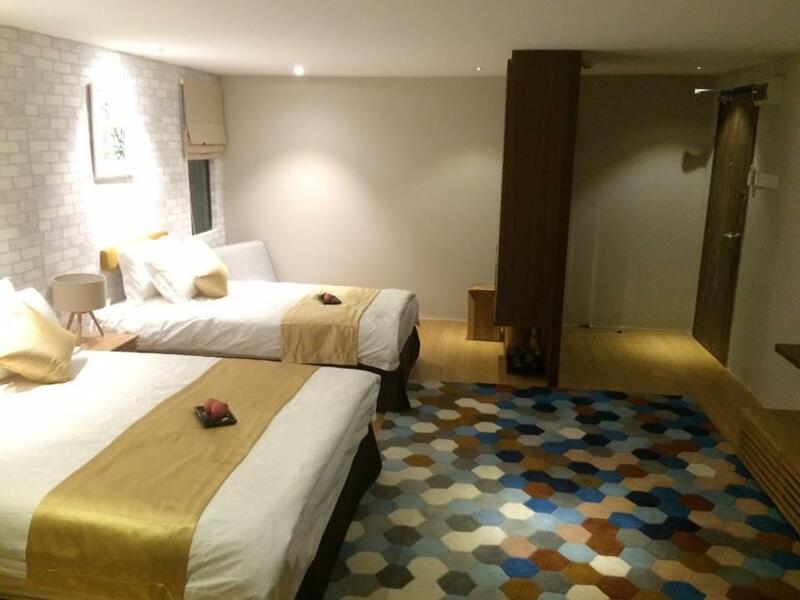 The room is spacious for the price with nice and interesting features. It is also well equipped with iron/ironing board, hair dryer etc which in other hotels would be on special request especially at this price range. The staff were helpful and polite. I was blown away with the complimentary breakfast set voucher which was given to me on check-in. The coffee at the adjoining restaurant is especially mentionable. Parking is along the main street, if you are lucky you can get the reserved parking right in front of the lobby. 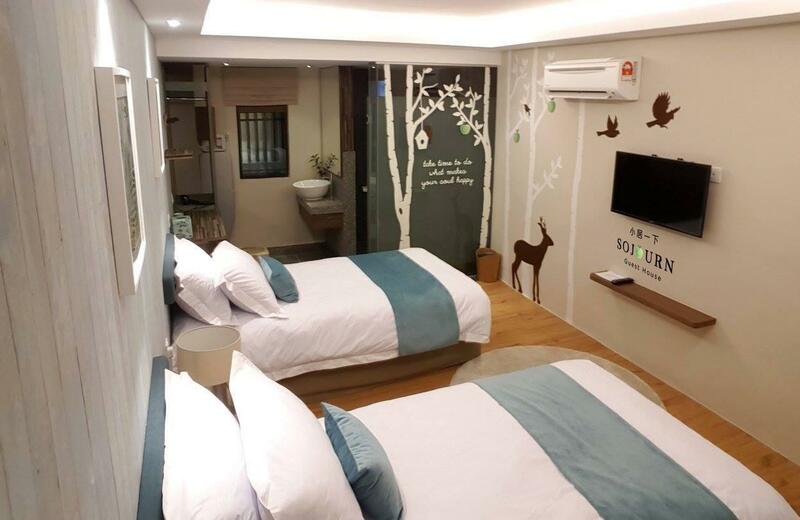 All in all, I would recommend this hotel as it is very nearby Hospital Ampang and also provides lots of addons which make for a pleasent restful stay. Been a regular last year ( 5 times!) They are one of the kind in their service. I didn't take the stayction package as my parents were not interested but they truly enjoyed the guesthouse. You literally just have to bring your luggage! 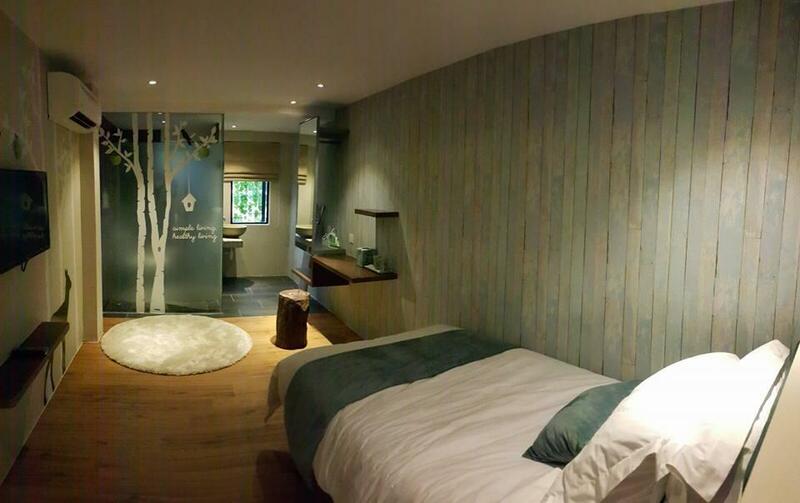 + Very clean & place filled with lemon grass aroma which is refreshing + Helpful staff + Affordable Spa. Love the complimentary feet wax. + Near restaurants & eateries Even though the room is small, ironing board, complimentary tea, hair dryer & toiletries are all provided. Absolutely loved the body soap, shampoo & conditioner provided. The wash basin is aesthetically pleasing to the eye. Overall it’s a good night stay & very rejuvenating. Here for a short stay for a Cousin wedding. Very clean hotel with an aromatic smell. Claimed that the breakfast is halal but does not have any halal cert so we went out for breakfast. There are many eatery around the area till late night, so food was not a problem. Staying here for the second time. Staff was very helpful. Hotel is very clean. Restaurant serve healthy foods too. Wifi in the room or lobby are excellent. My suggestion to the hotel management to give further discount for those guest staying more than 3 consecutive nights. This is the best ,clean, best environment, good service hotel l ever stay in KL ! Thank you ! upon entering visitors will be greeted by lemon grass scent which is very relaxing. the layout in the room also very calm and relaxing. plan to come back to this hotel again. the only downside is the lady at the counter is not friendly, even sound condescending over the phone, other staffs (including foreigners) are much more friendly. A very affordable and pleasant place to stay for R&R. There is lemongrass aromatherapy in all the common areas. A cosy meditation corner is available on each guest floor - if this is your sort of thing: you'll enjoy spending some time here, to breathe in the gentle fragrance, and let the warm lighting help you appreciate the ambience of the corner. Simply set yourself up with a cushion, stick in your earphones, and sit back and relax with some chill out tunes. Real flowers adorn the pots along the walls. Free sweet herbal ginger tea. Tasteful decor in the room. Clean. Very clean. Attentive and accomodating staff. Spa quality shampoo and shower gel. Tip: try to get a room with a window that faces the back of the hotel - you can see the mountains in the distance. I found the complimentary breakfast to be delicious too. I didn't need to out that much, there is a supermarket across the road and plenty of local eateries in the area. What had surprise me that the corridor of the hotel full of lemongrass aroma…… such a relaxing environment. U hard to hear any noices. The staffs of the hotel so friendly n most of all the breakfast menu really impress me lot which are good for health. im enjoyed my 1 night stay here. really clean, aromatic (nice smell), nice enviroment but if for Muslim, the restaurant did not have any HALAL sign, mosly they was many NoN Muslim eat there. only parking need to find our own. overall : Really recomanded. I thought by booking an accommodation further away from town I could have a quiet time. But unfortunately the rooms were not very soundproof thus I could hear our neighbours slamming the door and talking right outside our room all the time! It was absolutely annoying and I didn’t had a great sleep! Other than that the place is nice, very Japanese style. The staff, Safran was apologetic about the whole situation but it is not his fault.. I just won’t come back at all... and ever. We stay here for five days and we are excited to recommend Sojourn to others. 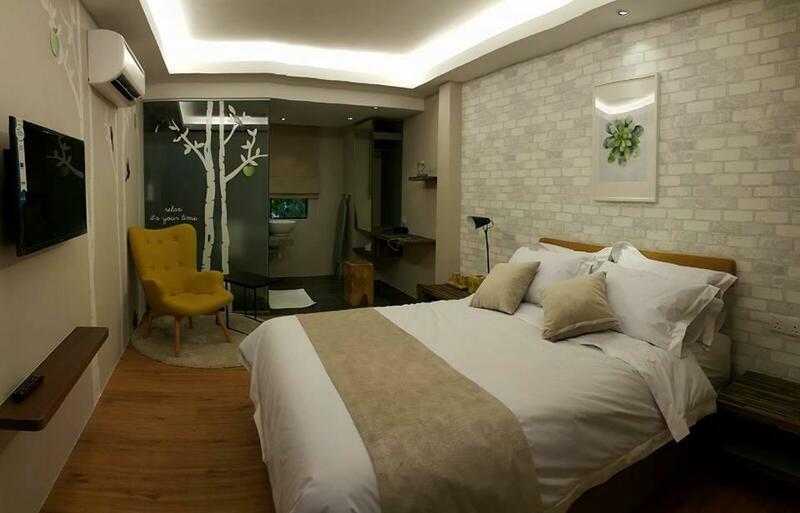 Very warm and welcoming ambiance, you can smell the relaxing lemon grass all over the room and outside. Bed, towels, toothbrush and mineral water are properly replenished every single day plus Muslim-friendly commodities surrounding the area within walking distance: restaurant, mosque. Hope to be here again, soon! Parking is the main issue. Altho there is reserved(stand) lot for the customer, yet we are from outstation ,confused with the parking coupon. If there is free parking for customer may upgrade the service. How come they will collect extra Rm40 as a sst fees? Σταθμός LRT Pandah Indah στα 1 χλμ.